Tungsten has a high melting point and generates X-rays when irradiated with a high-speed electron beam. Because of these properties, it is used as an X-ray source for various X-ray tubes used in medical and security devices. 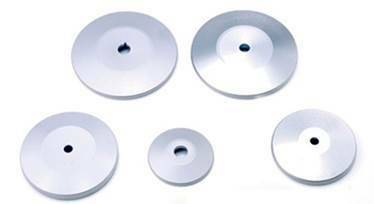 Toshiba Materials produces targets with Rheni-tung®, an alloy that is extremely strong and tough (resistant to cracking and swelling). These include standard Rheni-tung® targets in which Rheni-tung® is combined with a molybdenum alloy, and Rheni-tung®/graphite targets in which some of the molybdenum alloy is replaced with graphite for a lighter weight. 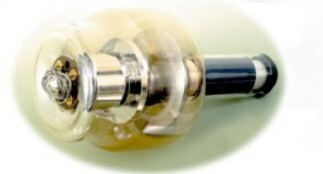 These targets are used for medical X-ray tubes. We draw on our wealth of knowledge to meet a wide range of requests. 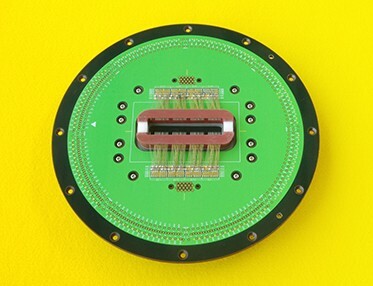 Tungsten is a strong, wear-resistant metal that is used make probe pins (contact pins) for inspecting high-density integrated circuits in parts such as semiconductors and liquid crystal panels. Toshiba Materials has developed Rheni-tung®, an alloy in which rhenium is added to tungsten to further improve its properties. In addition to high strength and electrical conductivity, Rheni-tung® can be formed into smooth pin points using trace element control technology, making it ideal for probe pins. As rhenium and tungsten have different electrical resistance and mechanical properties, the electrical resistance and mechanical properties of Rheni-tung® vary depending on how much rhenium is added to the tungsten. 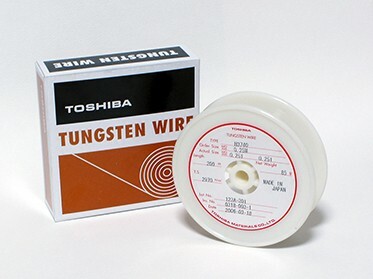 Toshiba Materials has an extensive lineup of wires ideal for a variety of purposes.